When it comes to getting the best deal on a new Chromebook, going outside of the manufacturer’s website can often save you hundreds of dollars but there is a dark side that some users have had the misfortune of finding out the hard way. Amazon is a “prime” place to find Chromebooks of just about any flavor and often, you can pick one up cheaper than stores such as Best Buy but heed this warning. If you’ve purchased a new device from a reputable seller on Amazon or any other third-party site for that matter, most OEMs like Acer, ASUS, HP, etc. are fairly easy to work with if you have an in-warranty issue. If your Chromebook was new and sealed in the box and you picked it up from a reseller that has a relationship with the OEM, chances are your warranty will be honored. There is one unfortunate exception and it could cost you big time. Google is notorious for struggling in the area of hardware support when it comes to warranty replacement and even more so repairs since they, themselves don’t even repair Chromebooks. Instead, you are left to contact uBreakiFix and then cross your fingers that your Pixelbook will be repaired or replaced after you’ve jumped through whatever hoops the support team deems necassary. All of that becomes a moot point if Google decides that your Pixelbook wasn’t covered in the first place because you didn’t purchase it from an “authorized” seller. The problem is that many of these sellers are either unaware that the warranty is contingent on Google’s seal of approval or they simply picked up a lot of them during a sale and are trying to make a quick buck by turning them around and they never give a second thought to support after the sale. The problem then becomes yours, the buyer. So, how do you know if your Pixelbook is actually under warranty? Well, for starters it helps to make sure you are buying from a trusted source. Obviously, the Google Store will be your safe bet and major retailers such as Best Buy are also authorized as Google product resellers. The best place to start when shopping for a Pixelbook or any Chromebook is Google’s Chromebook landing page. This will give you a good idea of what stores are authorized to sell a given device. For example, the Pixelbook listing currently shows the Google Store, Best Buy and Amazon as official sites to pick one up. However, that doesn’t mean any Pixelbook you buy on Amazon will be covered. As a general rule, making sure your device is “sold and shipped” by Amazon is a good way to make sure your purchase is covered. If it is a third-party seller, take a few moments to do your homework. There are some reputable sellers out there that are Google partners such as Electronics Express, BH Photo and Adorama Camera that all have Amazon store fronts. You can usually find more information on their website on coverages for your device. If you’re still unsure, contact the seller or better yet, contact Google. You can get in touch with the Pixelbook support team here and ask if the store you are buying from is authorized and if you will, in fact, be getting Google’s warranty. Perhaps you already have a Pixelbook and now you’re wondering if you will fall victim to the no warranty blues. Google’s support team can check your serial number and let you know if you’re good to go. 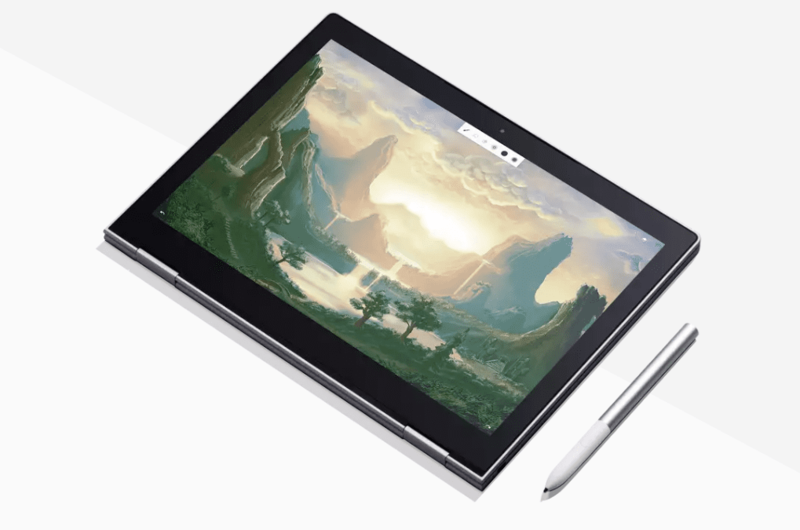 If not and your device is still within the return window, it may be a good time to get that Pixelbook on its way back to the seller and start looking for a deal on one from an authorized dealer. You can find Electronic Express’ Amazon storefront with the Pixelbook below.